Happy – 2b is a relatively new company based in Europe (sunny Holland) that manufactures high quality composite helmets for the skateboarding and paddlesport markets. Getting hold of one of these helmets in the UK is pretty difficult but their on-line ordering system is A1- being both secure and quick. I managed to pinch one from a mate of mine for a weekend of paddling. At this point I should make it aware that the helmet I tried out was not CE approved although all things being well future ones will be.I decided to look at the 12b mainly because I like the look of this model in comparison to all of the others currently on the market (CE approved or not). The shell of the helmet is made up of a carbon/aramid/fiberglass blend. This basically means it’s light but extremely tough. I have now had a Skook (small shell) for approximately four months and so have had a good while to get to know the ins and outs of the helmet. I’ll be reviewing the design in four main sections: construction/safety, outfitting, look, and availability/price. I’ll also be comparing it to a few other helmets I know of. 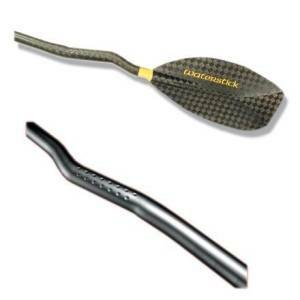 Shaft: Sky Epoxy or Carbon Kevlar. I’ve had these blades for about 3 months now, and I’ve given them a pretty hard time, and they have stood the test of time. I have had the paddle for about a month and a half now and so far have been very impressed. I ordered it through Pyranha with 12 degrees feather and a length of 191cm. When I first unwrapped the paddle the first thing I noticed was how light it was, its lighter than any paddle I had previously tried, so was very impressed by that. It also looks quite different due to its unusual carbon weave look and dimpled grips. 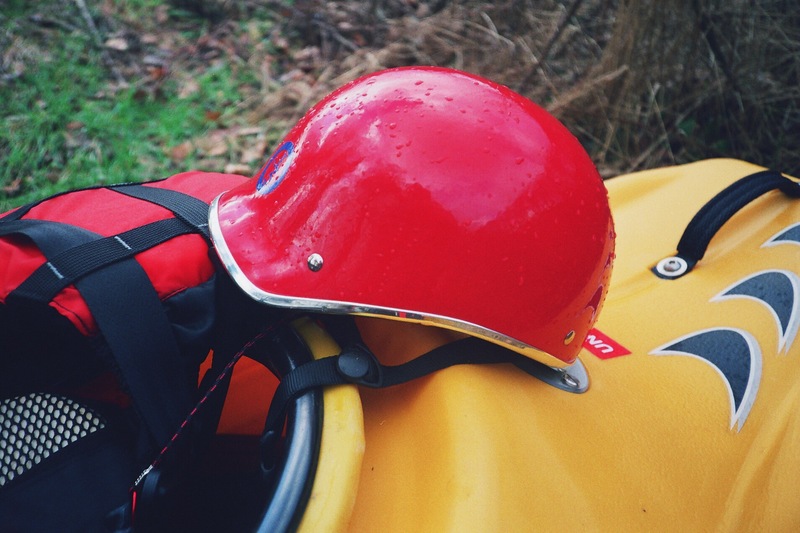 You’ve probably read many cag reviews where the user has just recieved a spanking new cag, taken it off down to the water and had the driest/warmest kayaking experience ever! Construction is pretty good, evidence of this can be seen clearly when you check the inside of the cag out. The taping is a master piece, no skimping here. Nice wide tape well secured! Since the production of the I.T.S deck Playboater has long been established as one of the best spraydeck manufacturers in the UK if not the world. Over the years I have owned three Playboater decks. The first being an I.T.S deck followed by two workdecks. I still have all three and all three are in A1 condition. Even the I.T.S deck which by now must be an antique. 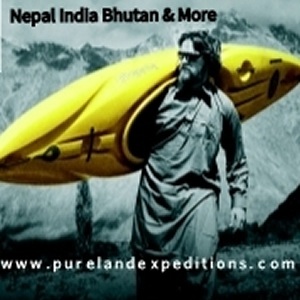 None have been replaced through damage of any sort and have only been retired when new boats have come along. The 4Fun, FINALLY a boat for the taller paddlers… This boat has been geared towards those out there, who like me are tall, (6’04”) But not exactly on the heavy side (12 1/2 stone last time I checked). It’s big on foot room, and can easily accommodate size 12 feet. It’s a river runner/playboat. So it won’t be the most radical boat on the river/ weir, but it can hold its own. I received my Vixen helmet in November from America. Decided to buy a closeout (or end of line) helmet to save a few pounds and a friend brought it back to England for me. They retail at £100+ (see System X); I have a super chix one (chrome rim) which I think costs a little more. 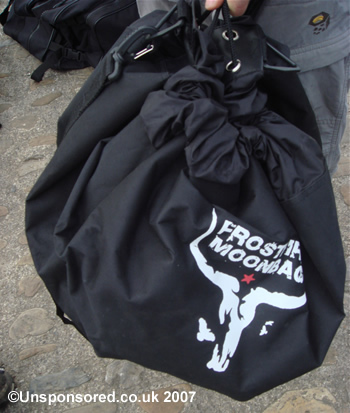 The Frostfire Moonbag comes in two varieties one zipped and the other closed via a drawstring. This review is for the drawstring version. 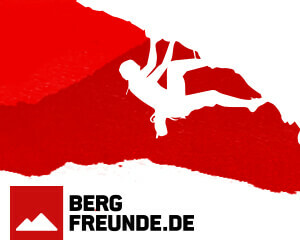 The Five Ten (5.10) Nemo Shoes are one of the best ways to keep your toes protected, and they let you walk as safely as possible in tough terrain. Like most neoprene shoes, these guys are warm and comfortable. What set these shoes apart from others are their soles. 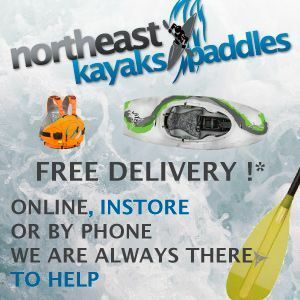 Their soles are made of 5.10’s Aqua Stealth rubber, which 5.10 developed specifically for technically savvy anglers, kayakers, canoeists, ww raft guides and search & rescue workers. The soles are also very flexible, which allows you to squeeze your feet quite comfortably into the smallest of boats (I had no problem getting into a disco with size ten feet). But they still protect you from those nasty little stones that always seem to find the boney part of your sole. I found using the shoes on the Teesside ww course for rafting three to four times a week meant that the soles wore down rapidly (within about 3 months), however the soles can be replaced by a 5.10 recommended company for a cost or with a DIY kit that’s available on the net! I also found that the mesh outer could rip quite easily is caught on a raft seam. 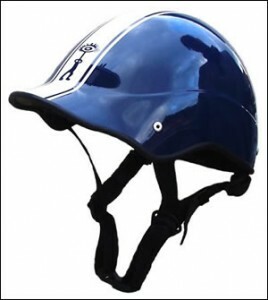 J3 Industries is a US based company who produce state of the art composite helmets. Currently, J3 has 5 different styles of helmets for the public market including a womens line. 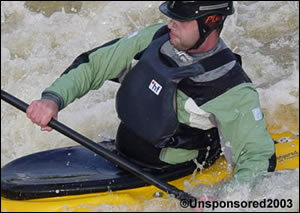 J3 has sponsored several progressive kayakers who have competed in national and international whitewater kayaking competitions and who are at the forefront in exploring new rivers, developing new moves and tricks, and creating first descents on rivers nationally. 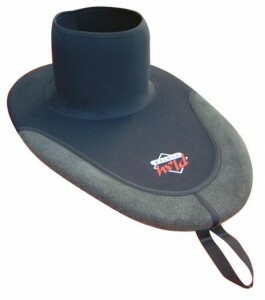 J3 Industries is also the official sponsor of the United States Freestyle Team.